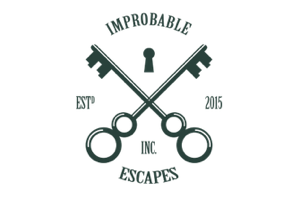 Escapology continues to open more locations across the US and it’s easy to understand why. There was great attention to detail throughout our experience at the Tewksbury, MA franchise about 30 minutes north of Boston. The open lobby was airy, well-appointed and decorated in a Victorian Steampunk style. Had our team not arrived together, we would have been happy to spend time waiting on the comfortable couches with a drink in hand. The location was easy to find, with plenty of shared parking and a large, landscaped sign out front. The intro video was well produced and gave enough history to set the story without feeling like a school lesson. We were stuck on a sinking, World War II submarine that had been sabotaged by German secret agents. Power up the engines before the oxygen runs out! The set design lived up to the company’s high standards. We had to knock on the walls and trusses to see if they were solid steel or just made to look that way. The theme was kept consistent throughout the experience and the props were on point with the setting and the time period. Escapology takes their room quality very seriously and it pays off. Our group noticed the attention to detail and the smart decisions not just for prop selection, but also for the room layout. Submarines are expected to be a tight fit and somehow this room was designed to make us feel contained without being constrained. Six players shouldn’t have trouble moving around. As in their Budapest Express room, we specifically appreciated how the timer blended in with the environment. This is a detail often overlooked. All of our teammates had a similar view of the Pre-Room and Room Quality, however we differed on the game’s Immersion. Some thought the story was memorable and flowed through the experience while others felt the narrative was lost part of the way through. We agreed that the puzzles were generally well-themed to the setting, yet we disagreed on how the puzzles related to the story. There was a lot of debate on this topic and ultimately it came down to smaller aspects that we couldn’t put into words. Either we felt like we were on a sinking ship or we didn’t! We suspected that this difference was likely tied to the puzzles in which we participated. A smaller group will likely feel more immersed than our team of five. Our individual opinions merged back together when we discussed the puzzles. There was a variety of options (some visual, some tactile, some audible) and plenty of opportunities for people to work side-by-side. However, there were some narrow puzzle paths that may have been easier to work through had we been a smaller group. Because of this, at times we were concurrently exploring different solutions, which meant everyone was slowed down. Overall, there wasn’t anything that blew us away nor lived up to the awesome quality of the room design. As of our visit in July 2018, Under Pressure was the highest level of difficulty offered by this Escapology location. We appreciated the challenge. In some of our other reviews we note that a room’s fun score was greater than the sum of its parts. We may have felt that the room wasn’t in great shape or that the story didn’t play a big enough role, but we had fun nonetheless. It’s often our emotional state just after we escape (or the clock strikes zero!) that shows us how we really felt about our experience—perfection isn’t important if we left with a smile on our faces. Unfortunately, Under Pressure had the opposite effect. We think the pre-room and room quality are fantastic; the puzzles and immersion are above average, but our overall level of fun was lacking. As with any group dynamic, it’s likely that we just weren’t in sync for those 60 minutes and that let us down. 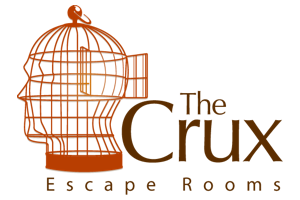 We think this room is best suited to groups of 3-4 with prior escape room experience.